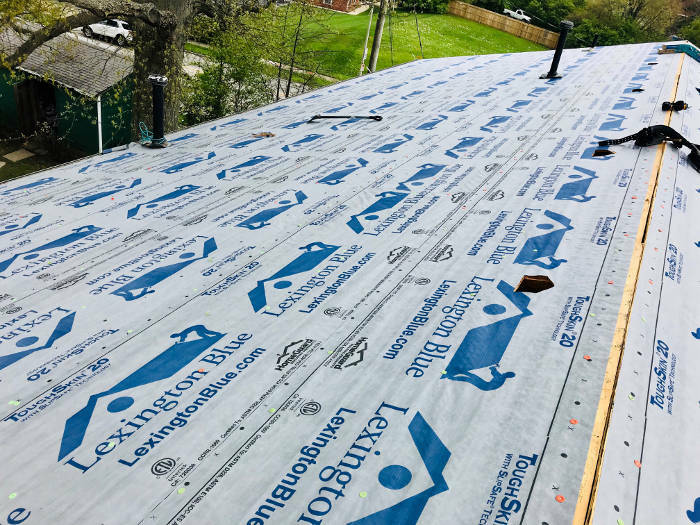 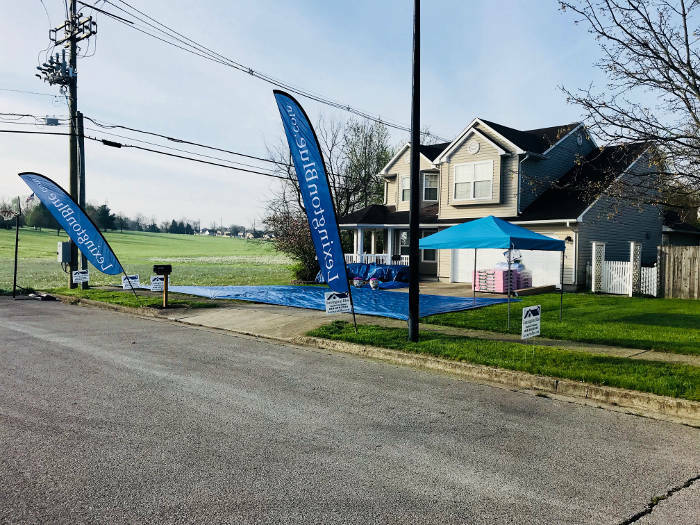 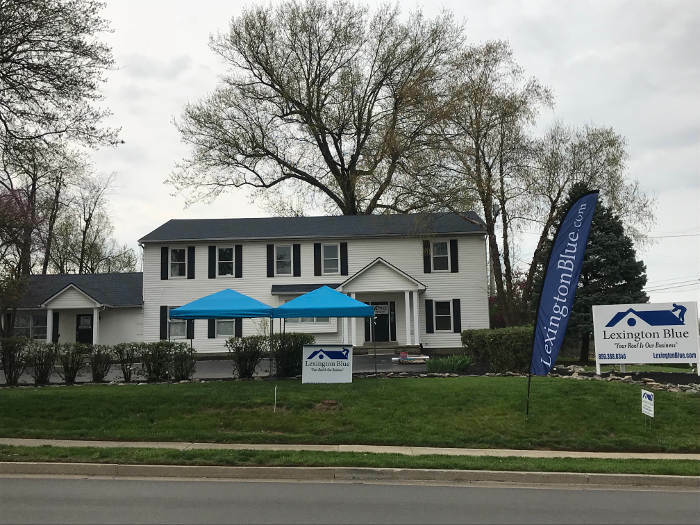 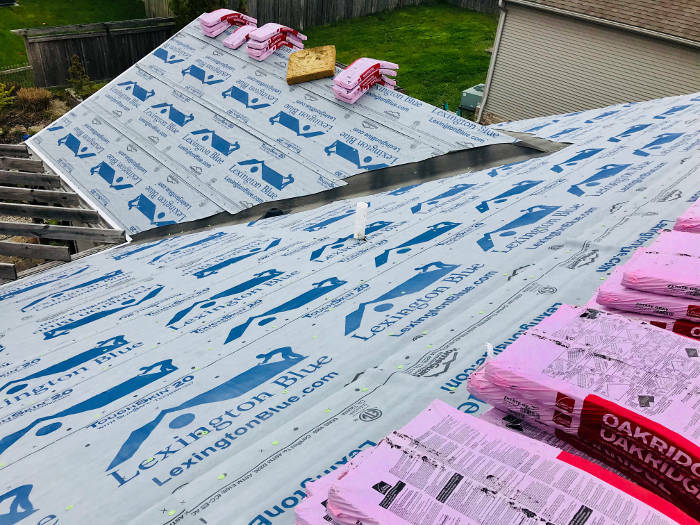 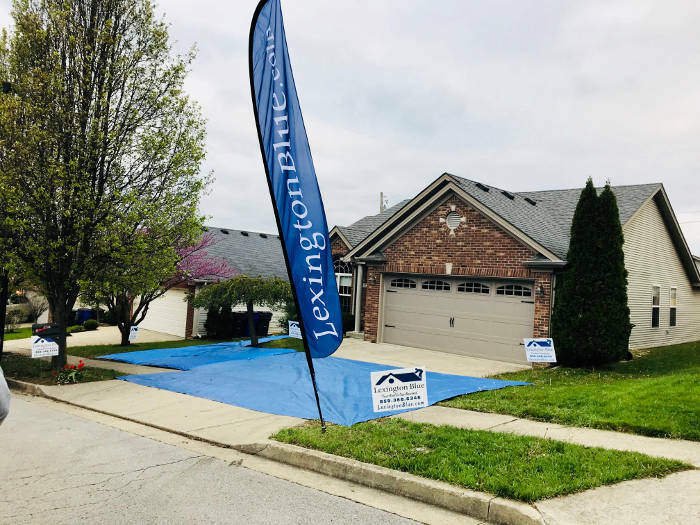 Here’s a collection of a few roofing projects that we performed this spring in Lexington. 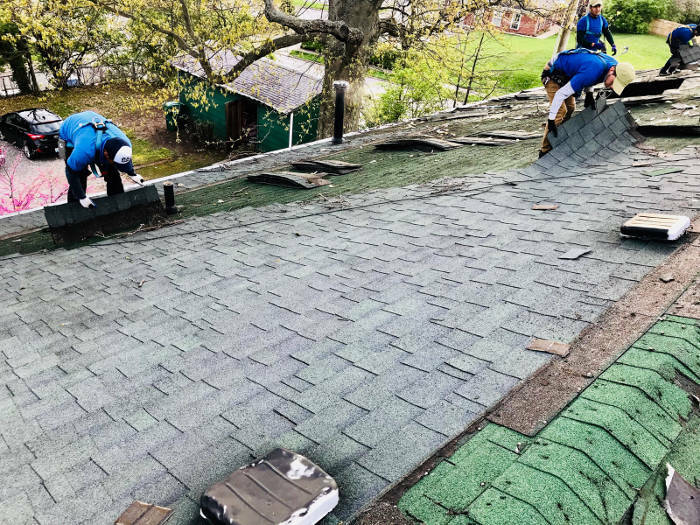 They all include something unique whether it’s the shingle brand and color or a random repair we had to make during the roof replacement. 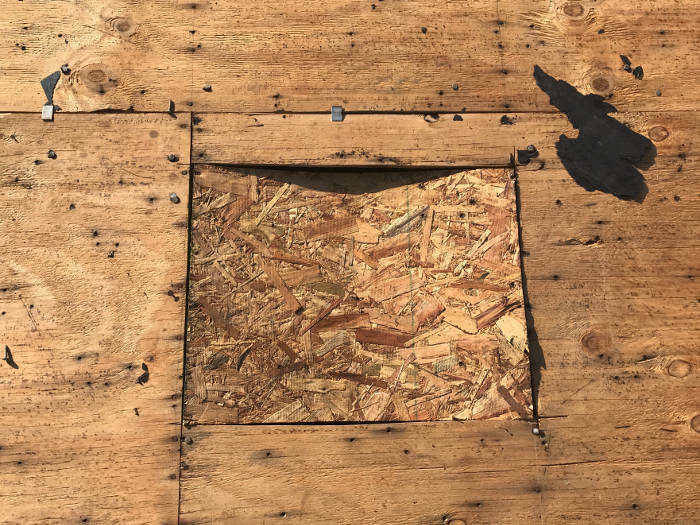 Once we had the existing materials torn off we noticed two things. 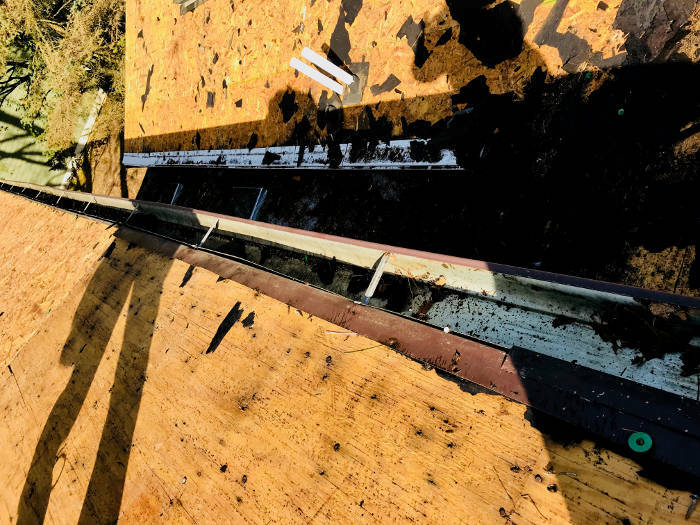 Damaged wood decking and no prior use of drip edge. 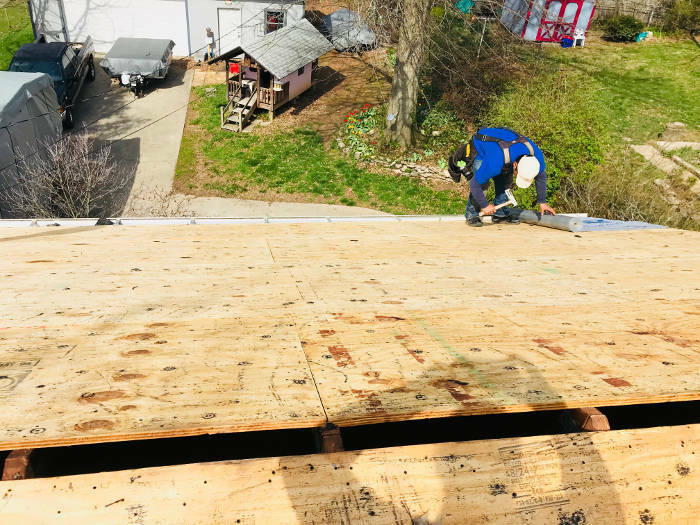 We made the appropriate repairs to the wood as well as added drip edge. 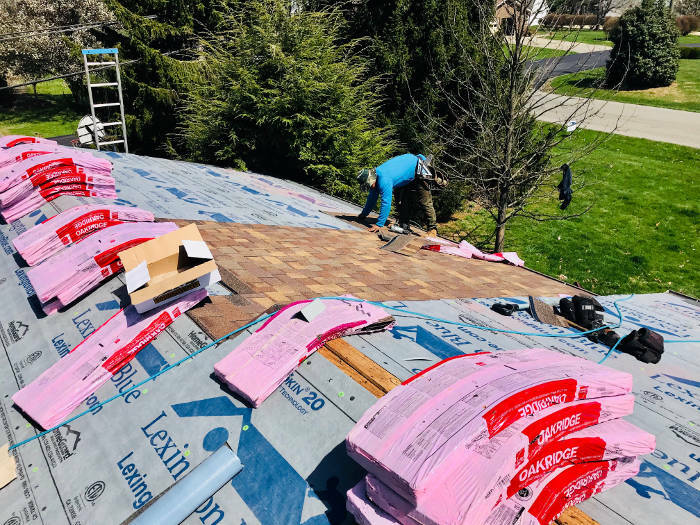 We installed Owens Corning in Aged Cedar color. 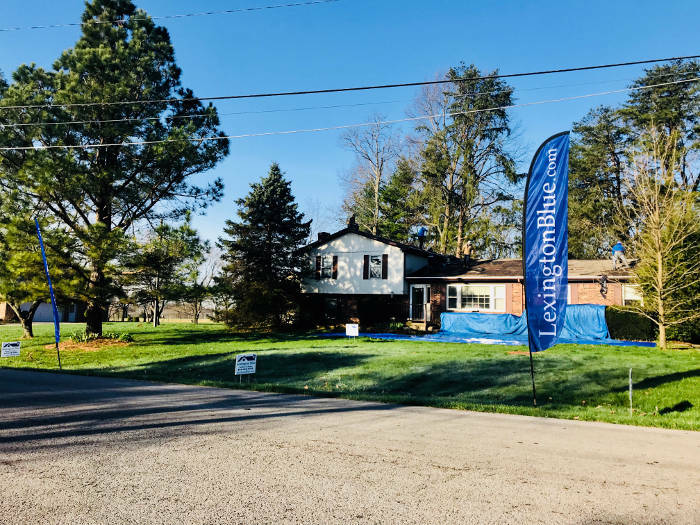 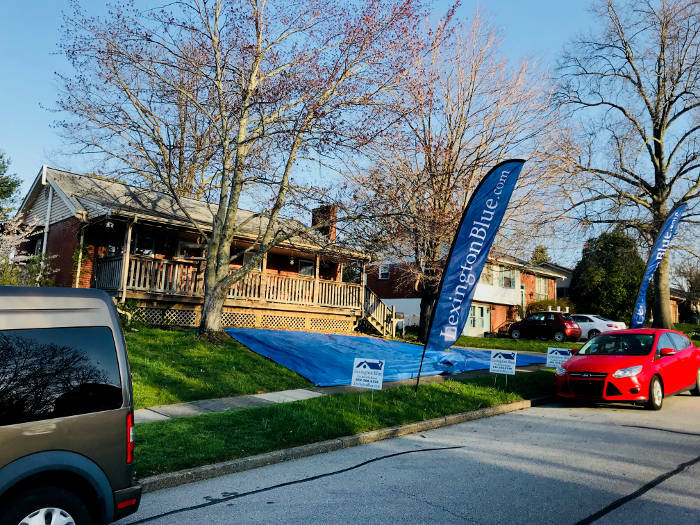 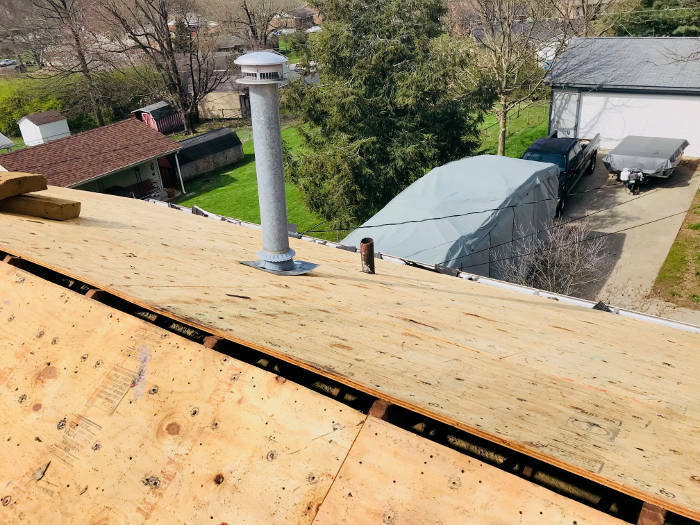 On this project we found damaged wood decking as well that we also replaced, but we also made sure to replace the old outdated ridge vent (made of fiber) with a more efficient and modern ridge vent. 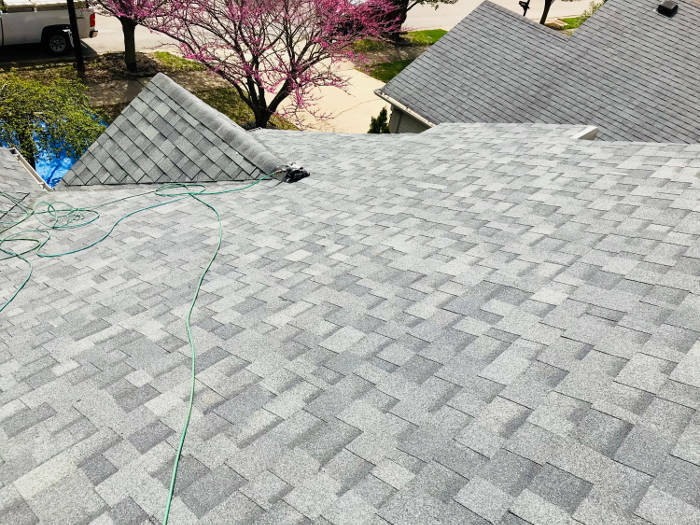 We installed CertainTeed shingles in Pewter color. 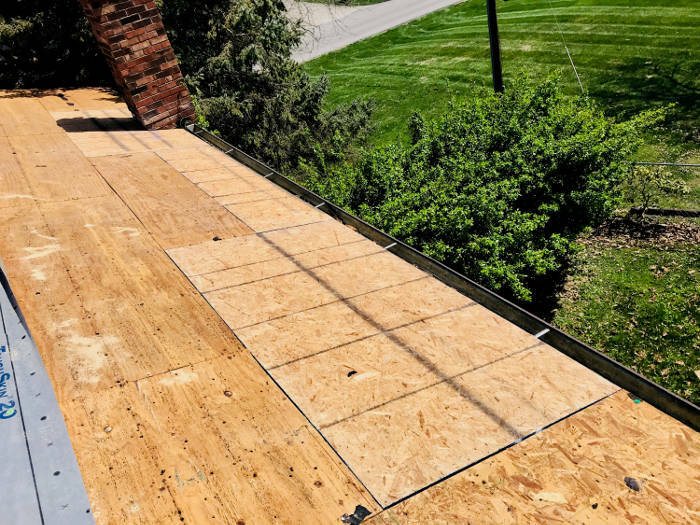 As the trend continues, we also had to replace damaged wood decking on this roofing project as well. 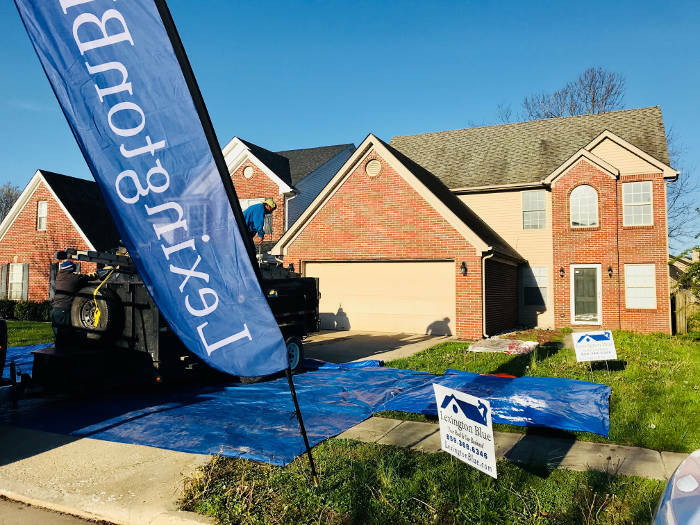 You’ll also notice how we take preventative measures by covering the grounds with protective tarps prior to starting. 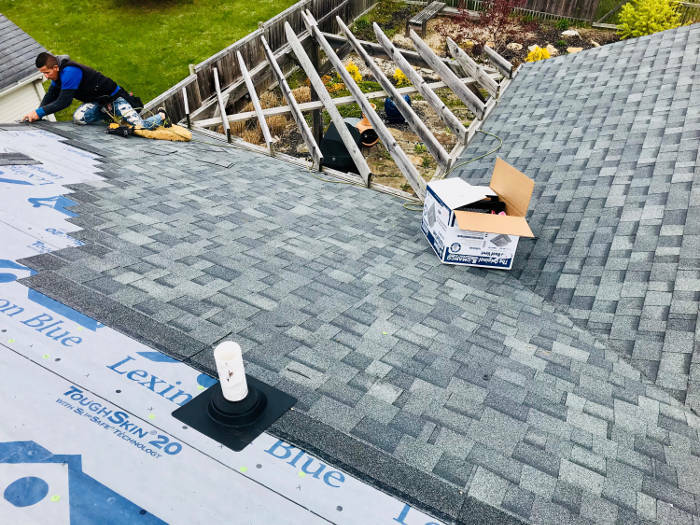 We installed Owens Corning shingles in Estate Gray color. 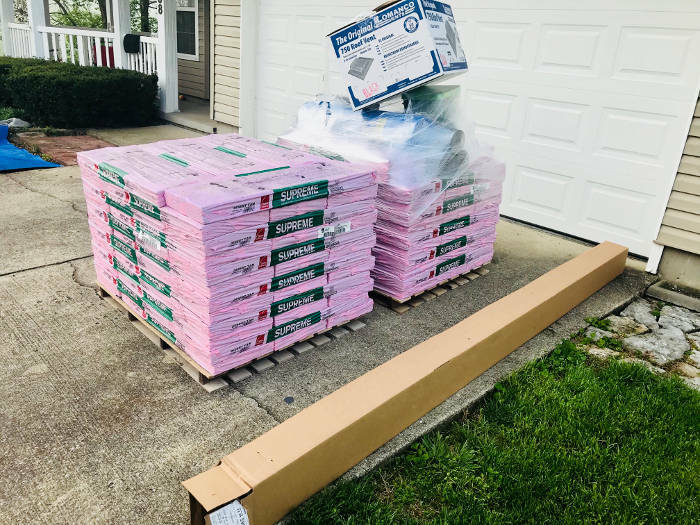 If you guessed damaged wood decking, you’re right, we replaced it. 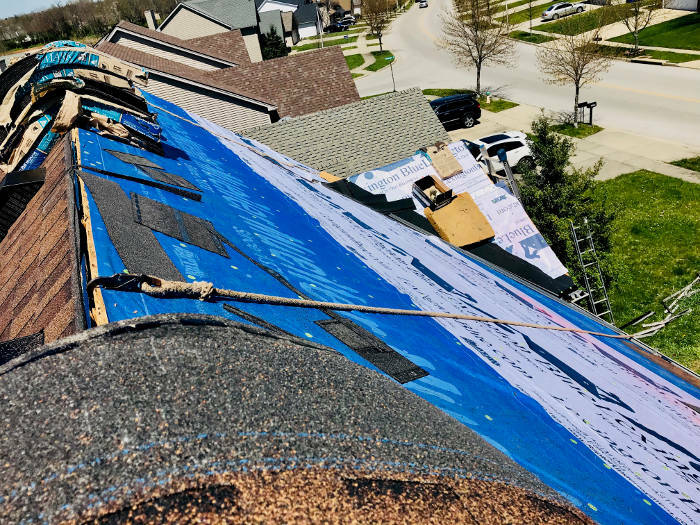 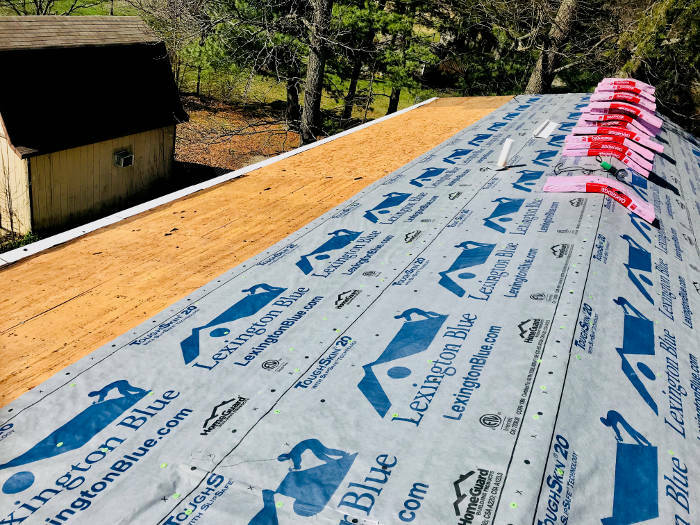 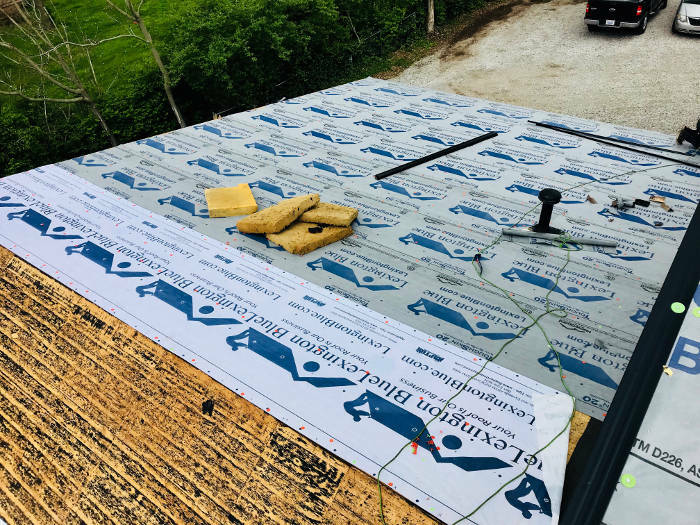 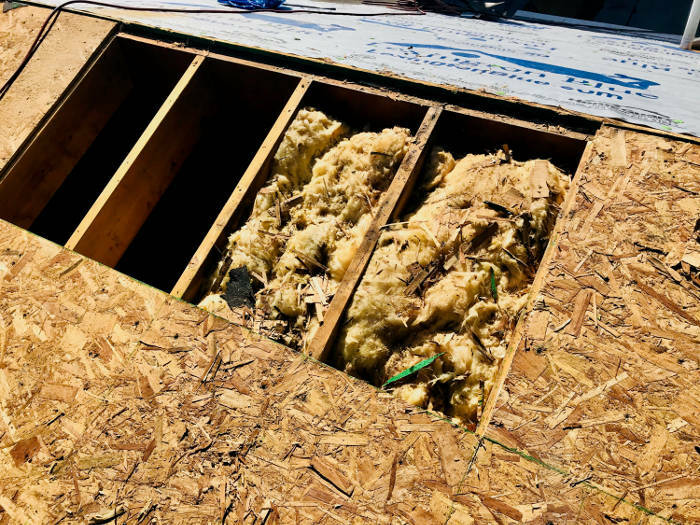 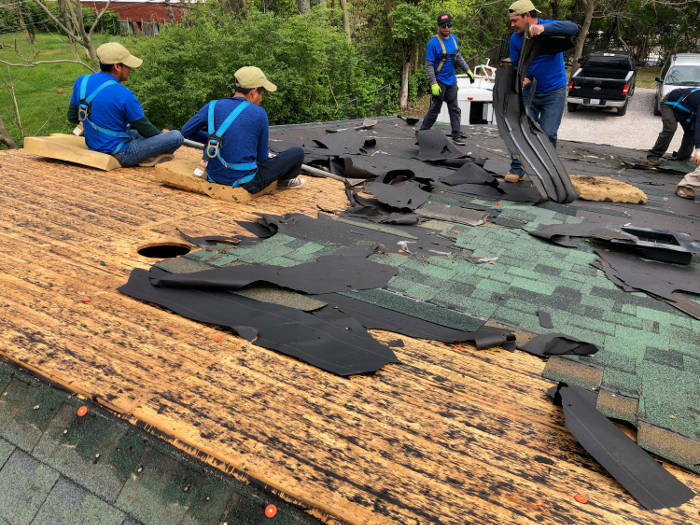 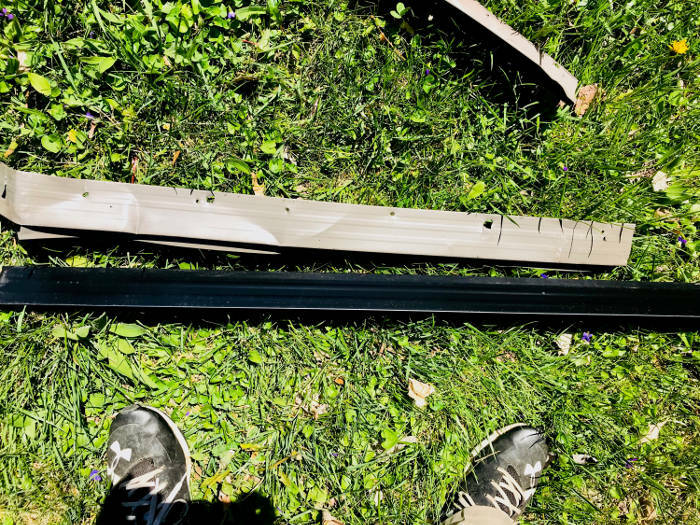 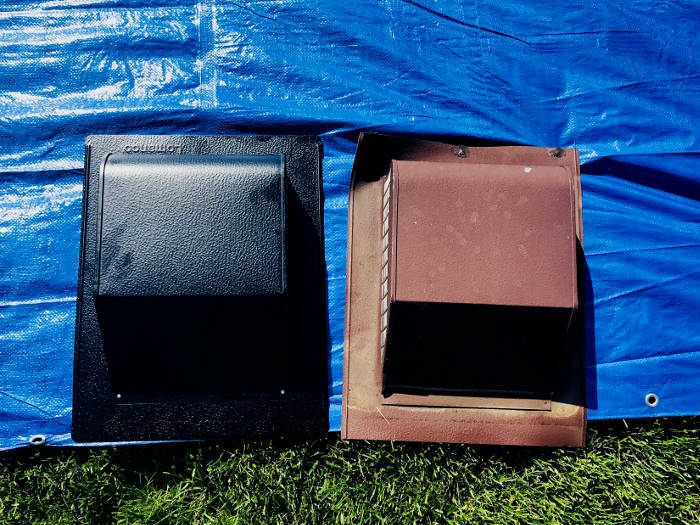 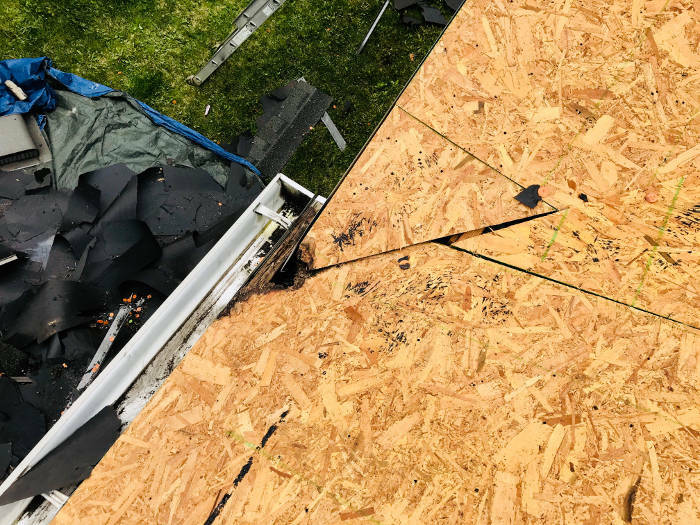 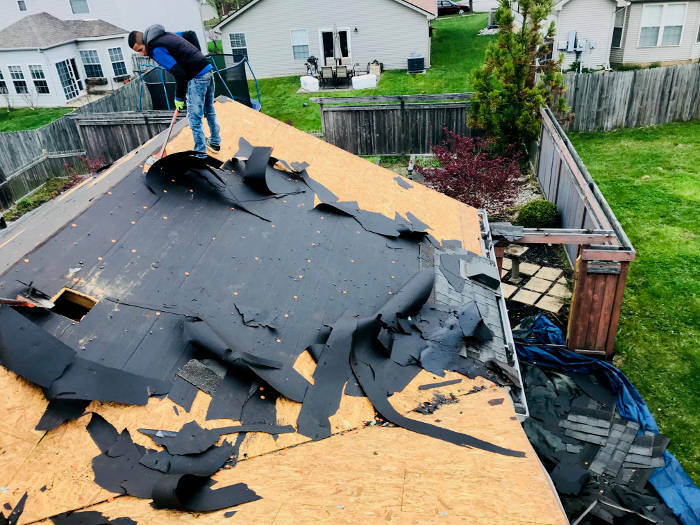 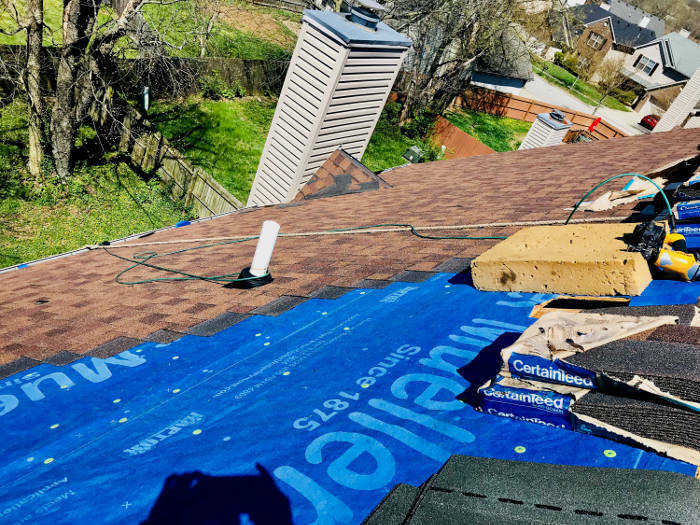 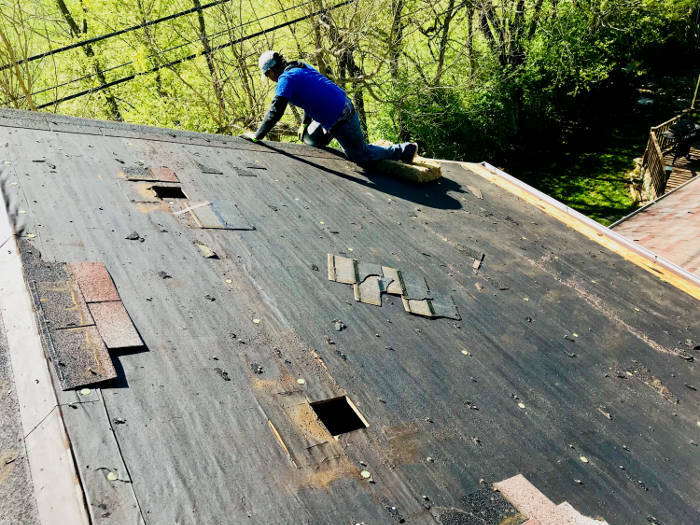 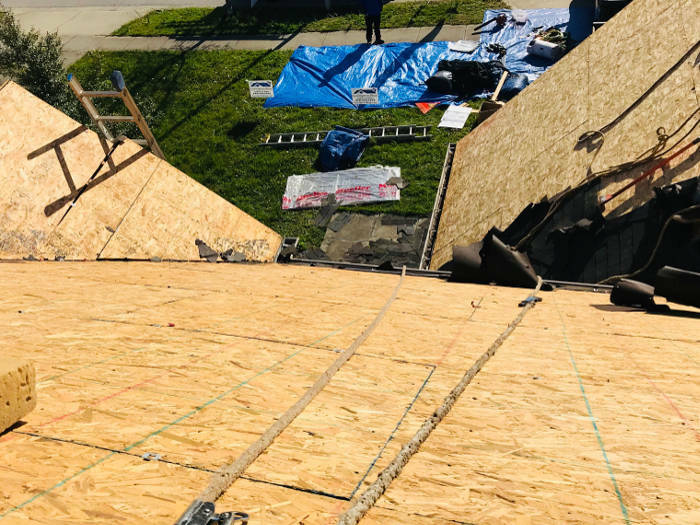 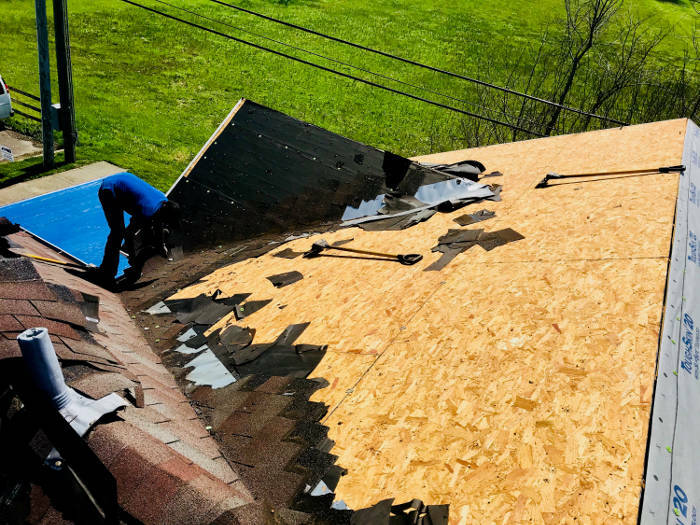 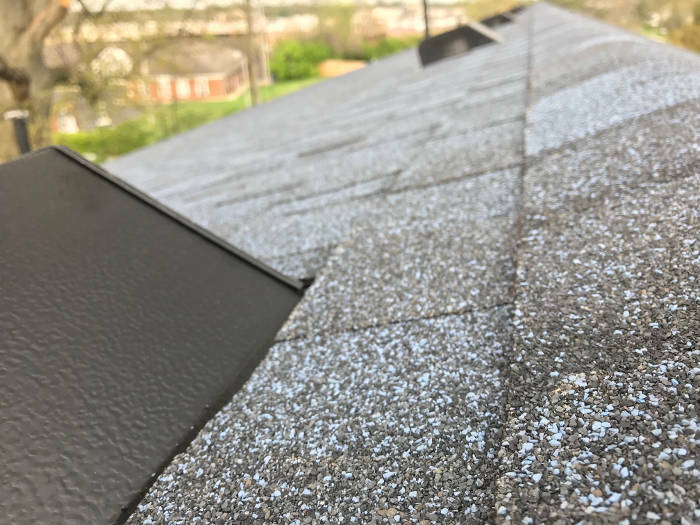 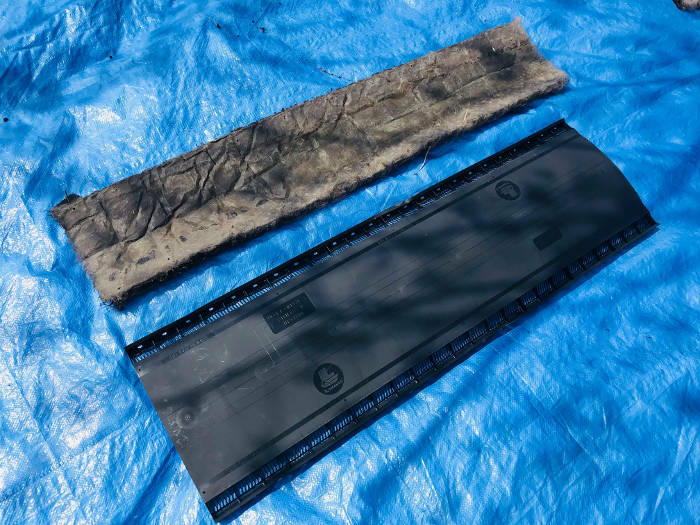 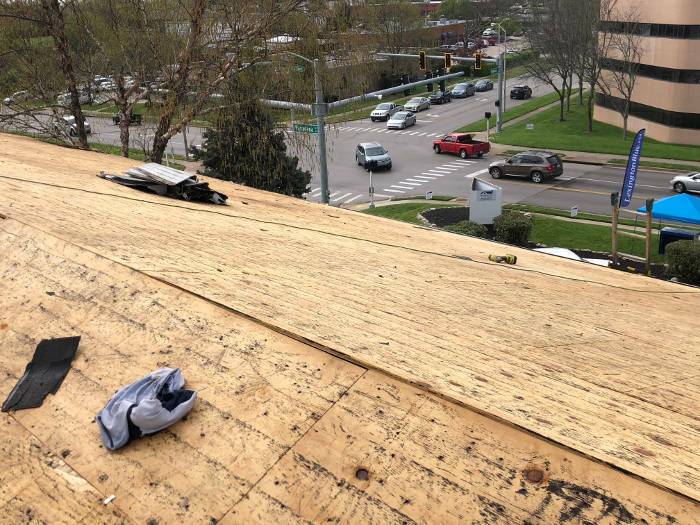 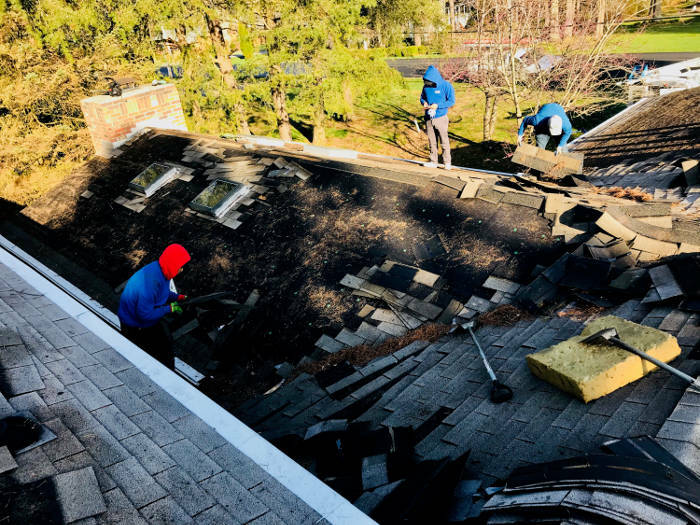 Our crew also had to replace the old drip edge because it was cut, worn and torn, which was apparently damaged by the previous roof installers. 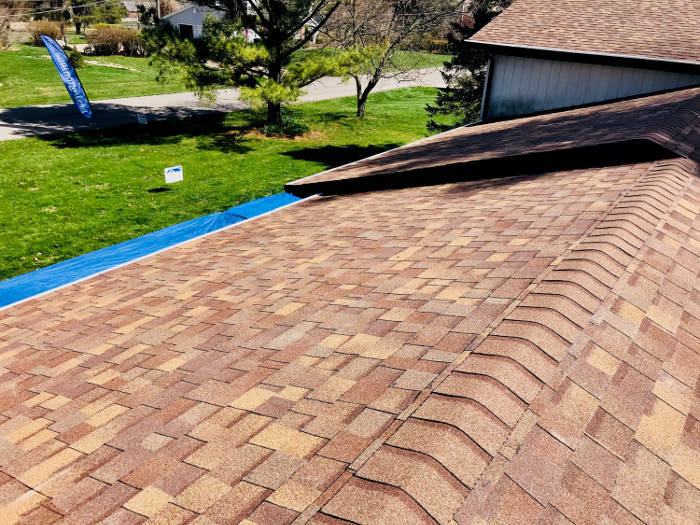 We installed CertainTeed shingles in Burnt Sienna color. 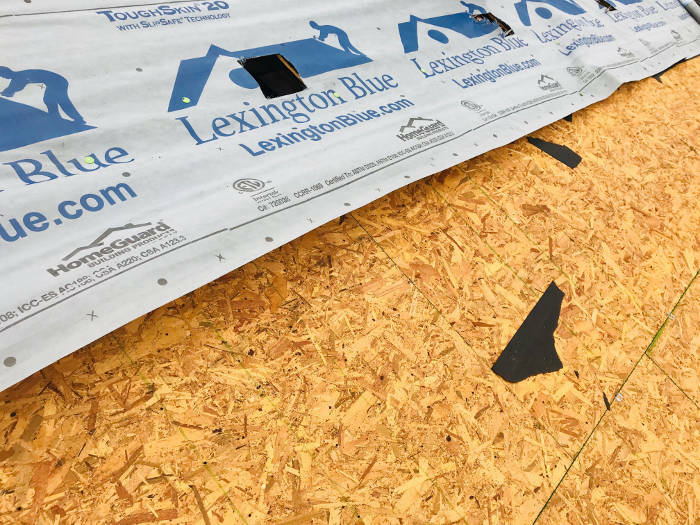 This project was actually on our own Lexington Blue office. 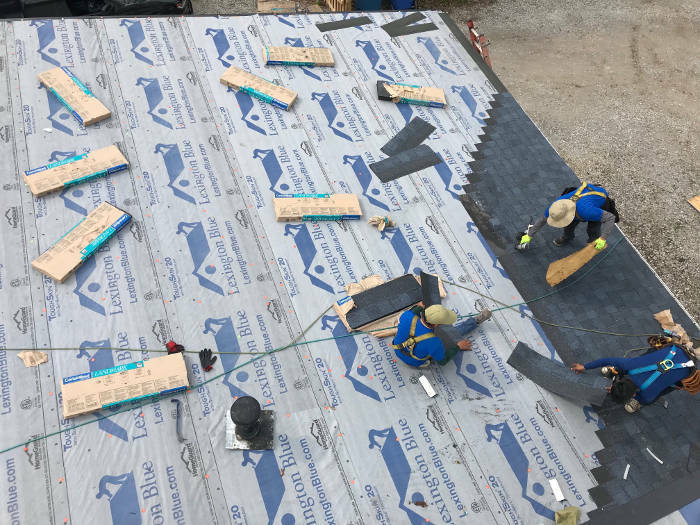 We used it as an opportunity to train our new crew. 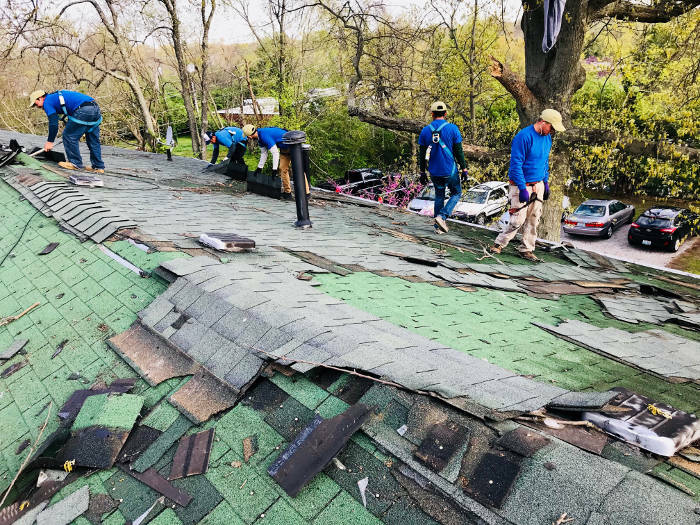 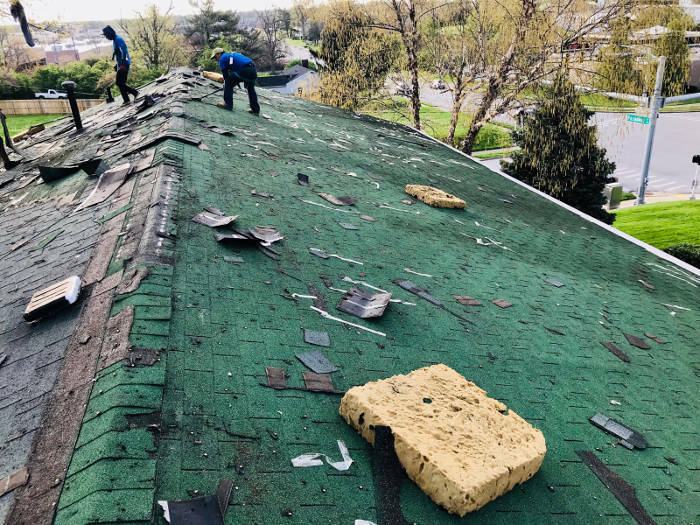 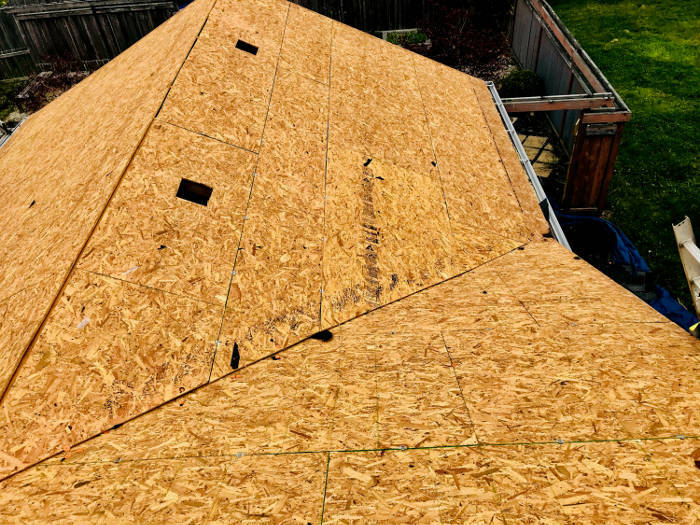 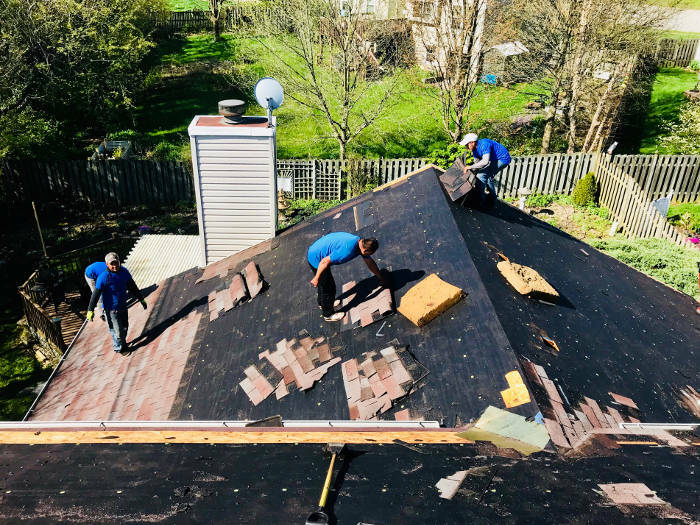 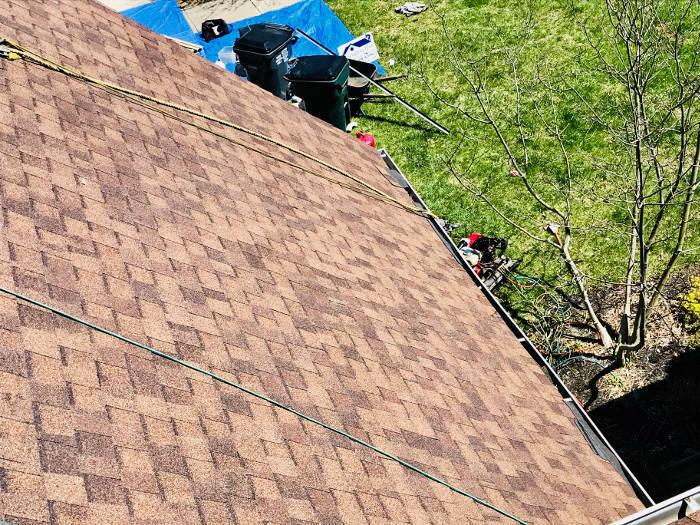 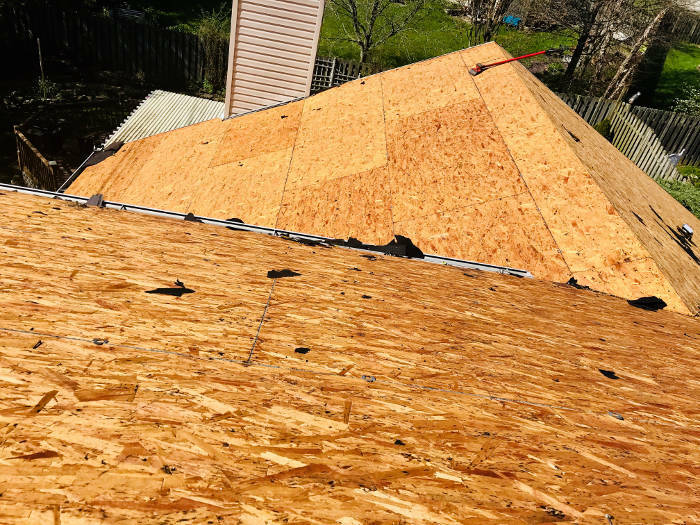 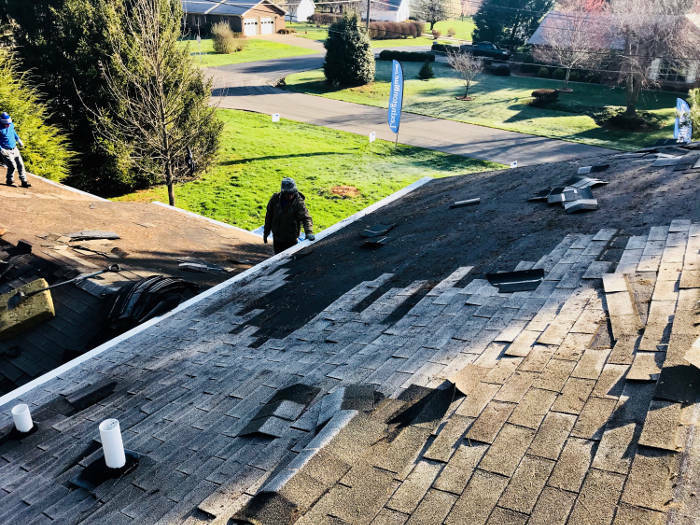 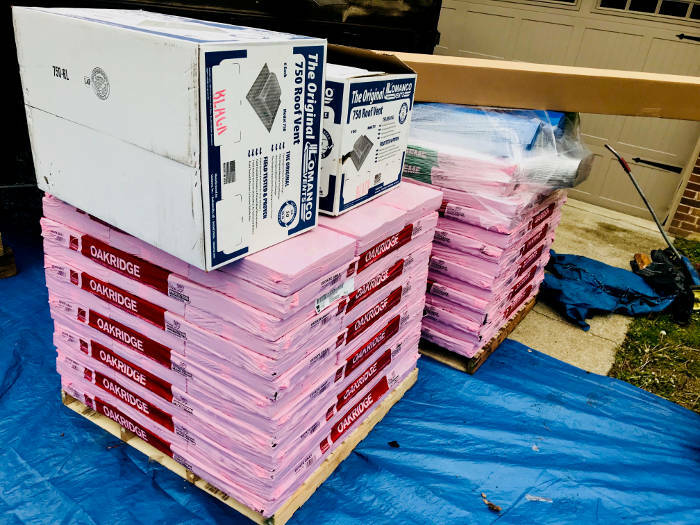 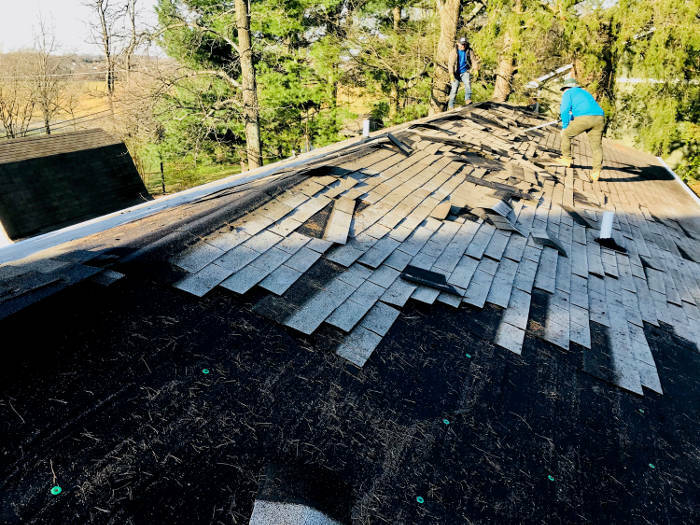 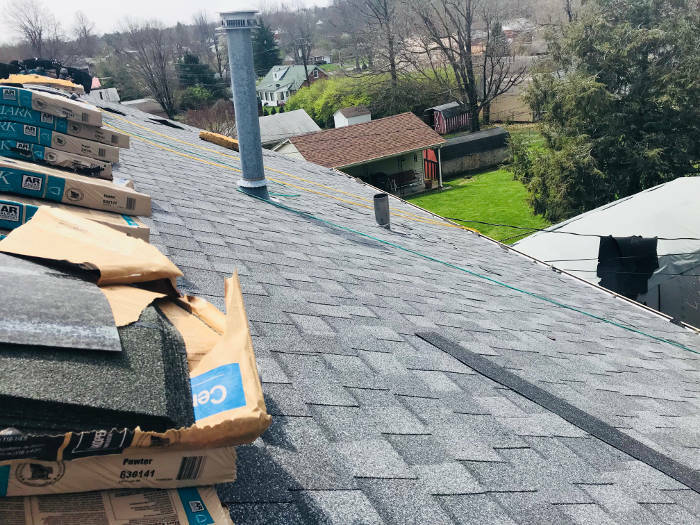 After we acquired the property we found that the roof had two (2) existing layers of shingles that we had to remove before we could install the new shingles. 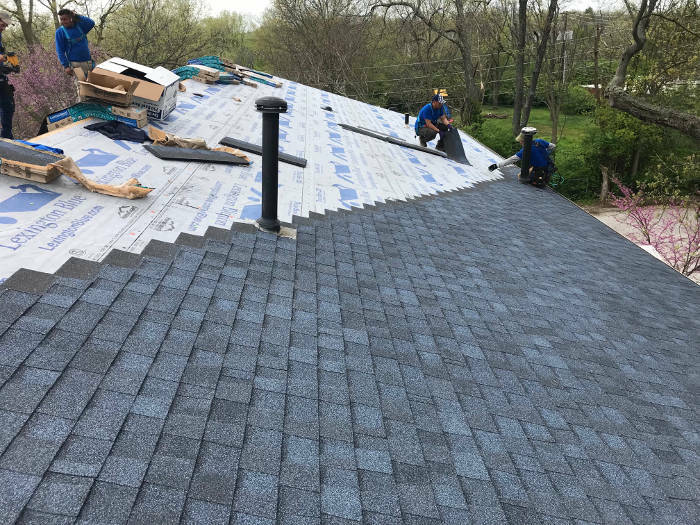 We used CertainTeed shingles in Atlantic Blue color. 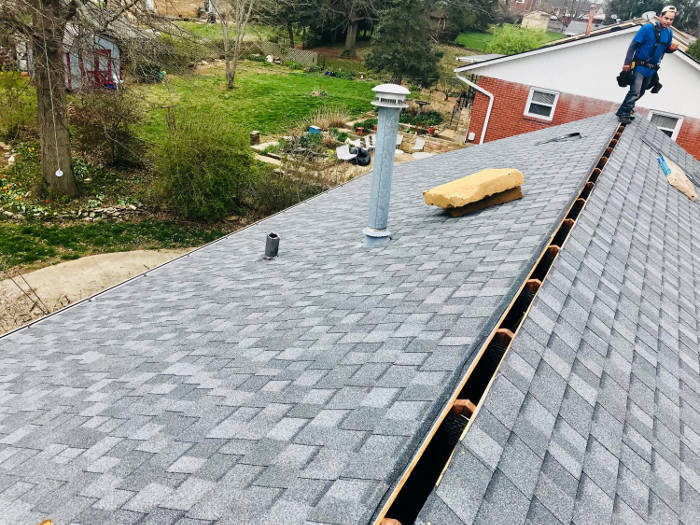 The existing roofing components underneath the shingles were in excellent shape on this project. 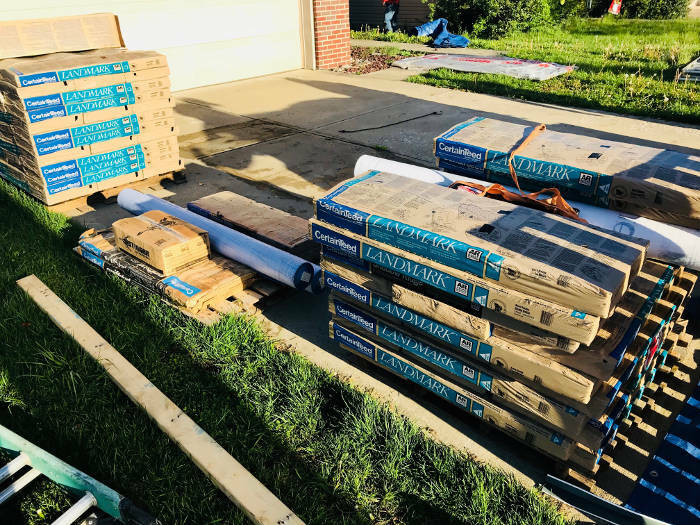 There was nothing to replace with the exception of the standard materials. 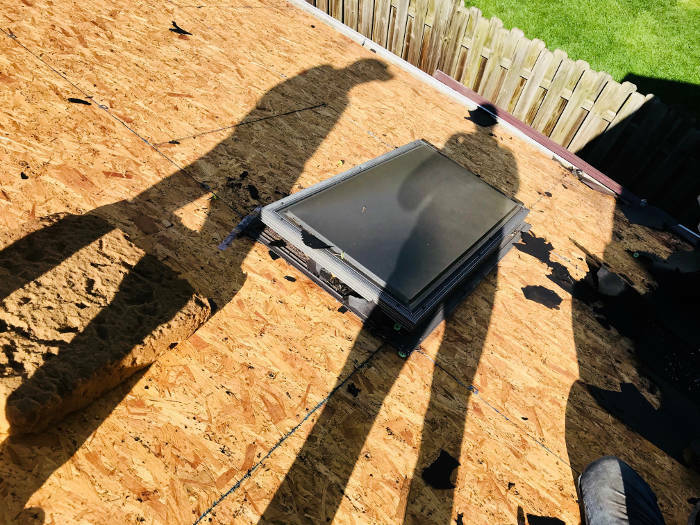 We also made sure to inspect around the skylights for quality assurance to ensure nothing would leak. 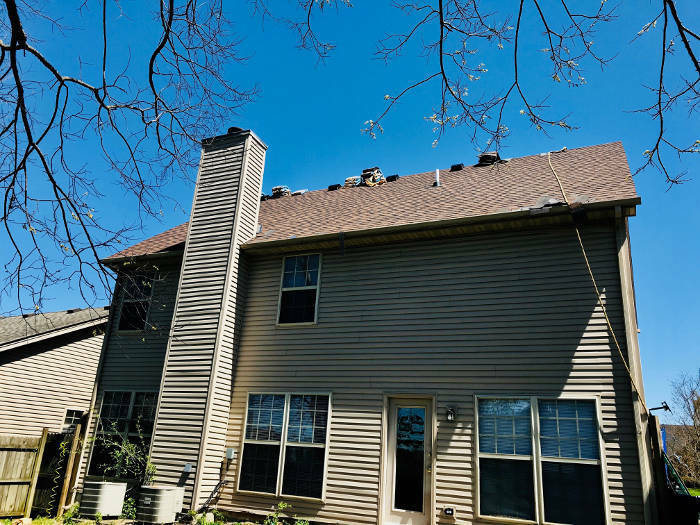 We used Owens Corning in Desert Tan color. 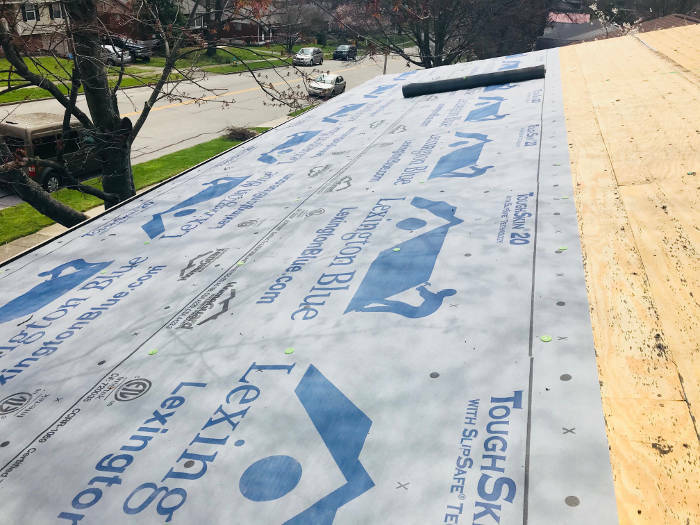 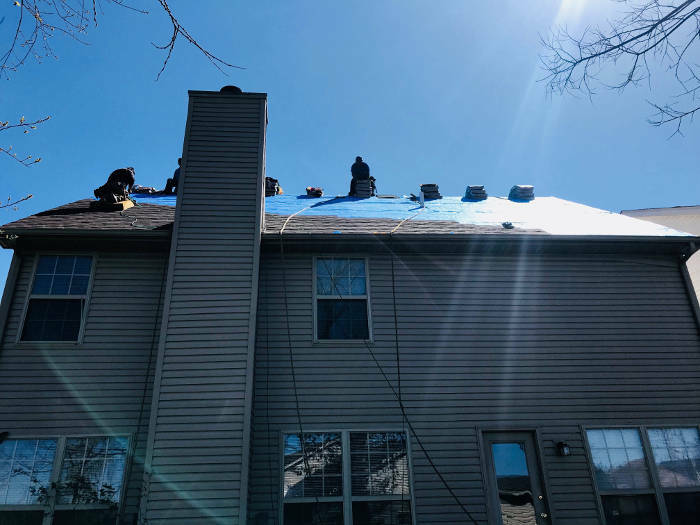 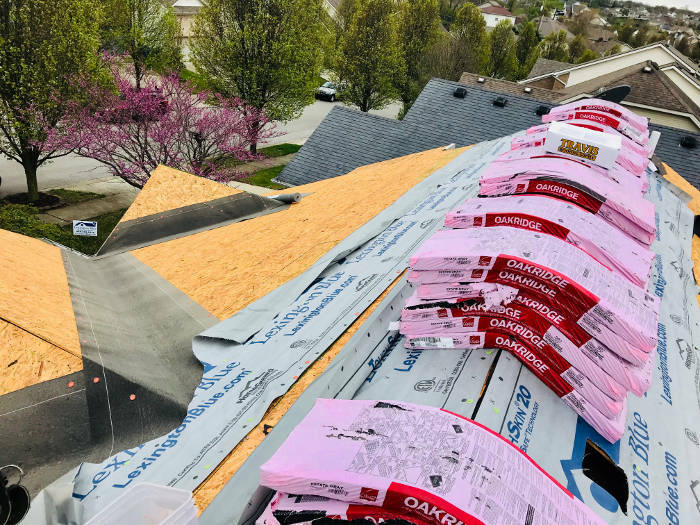 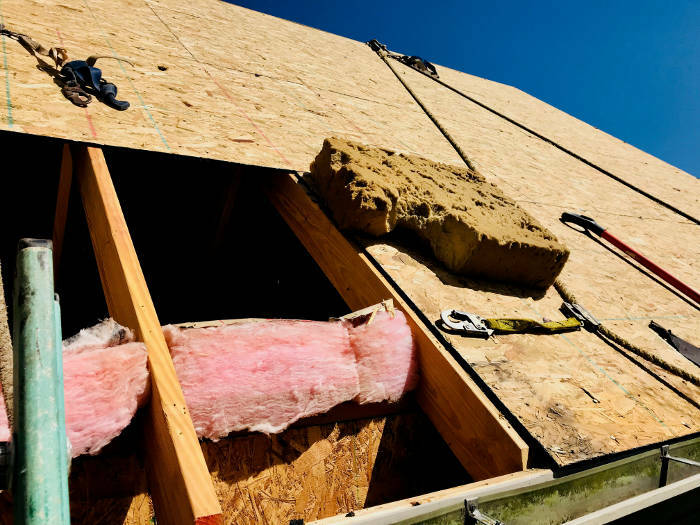 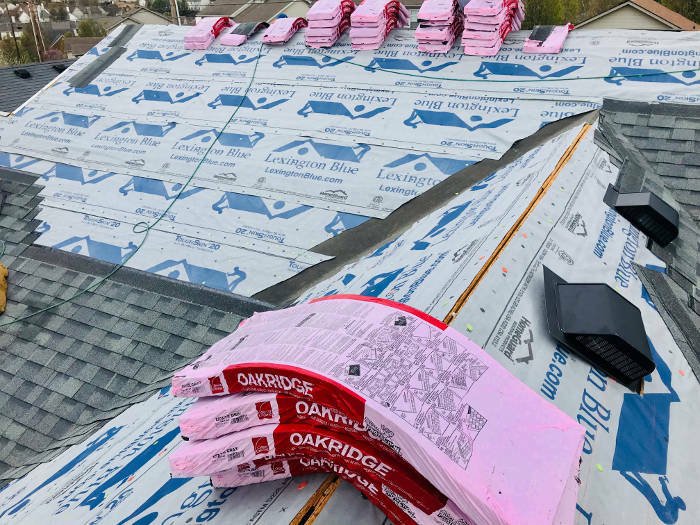 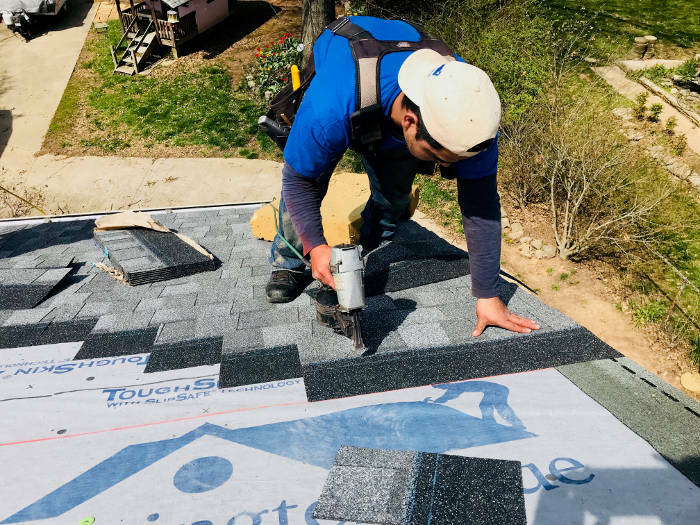 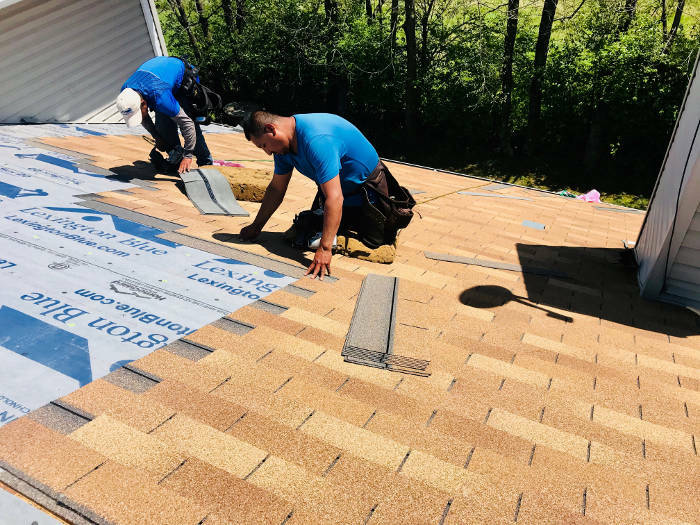 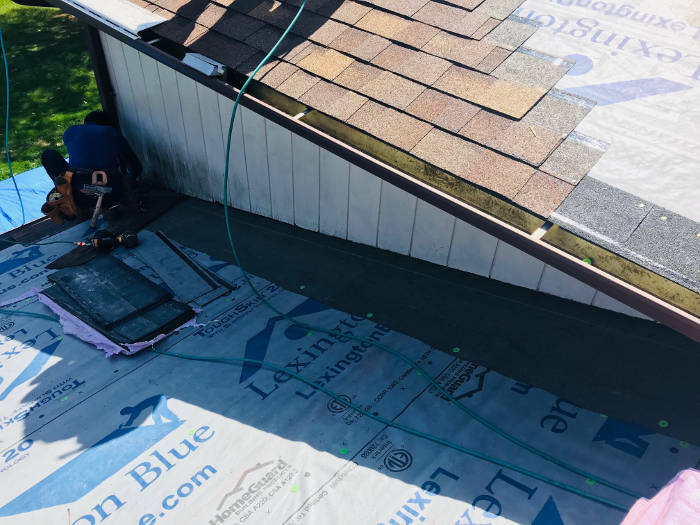 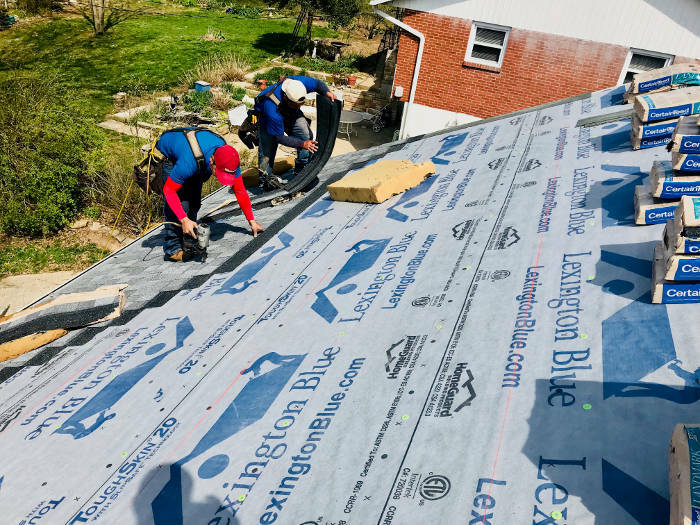 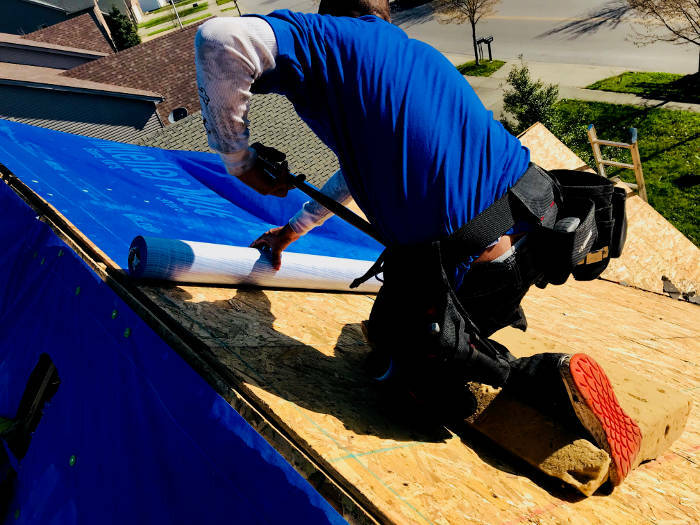 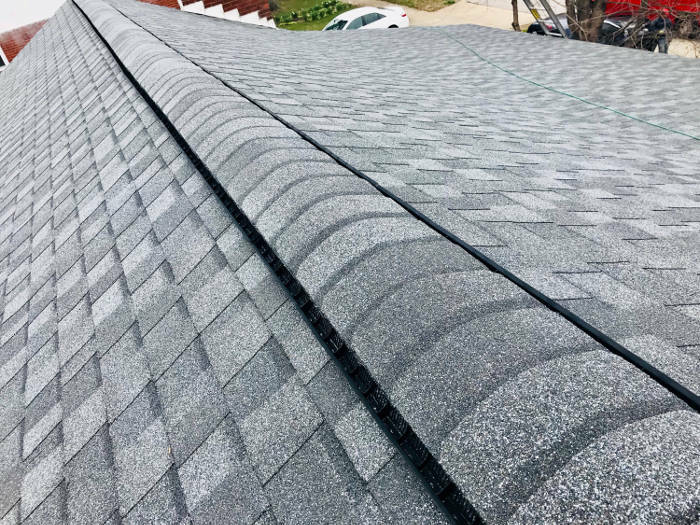 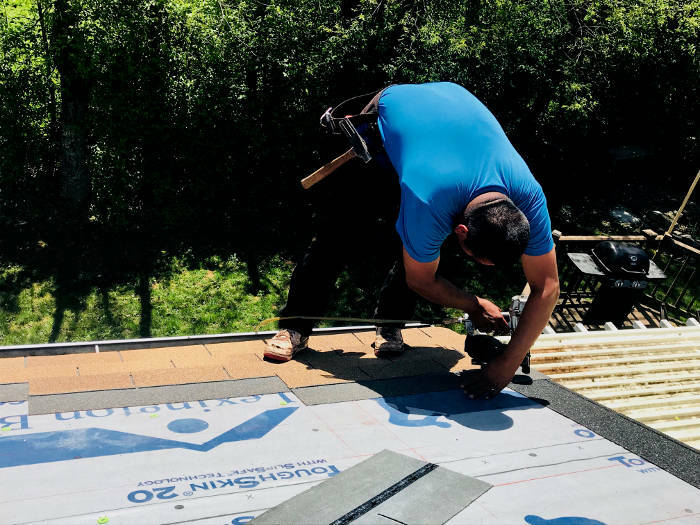 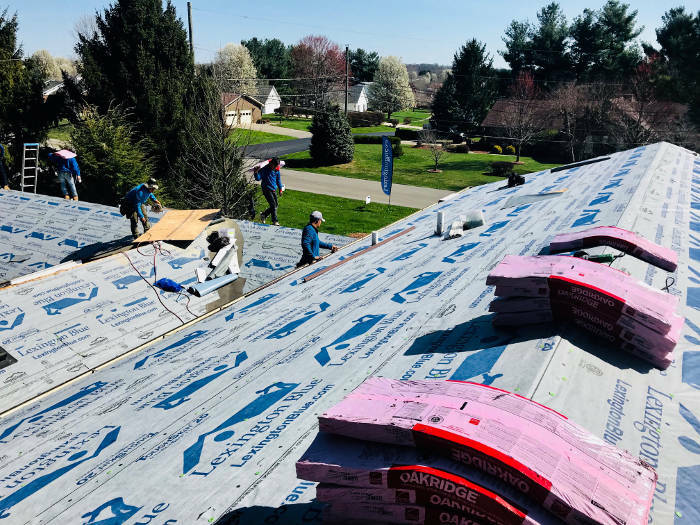 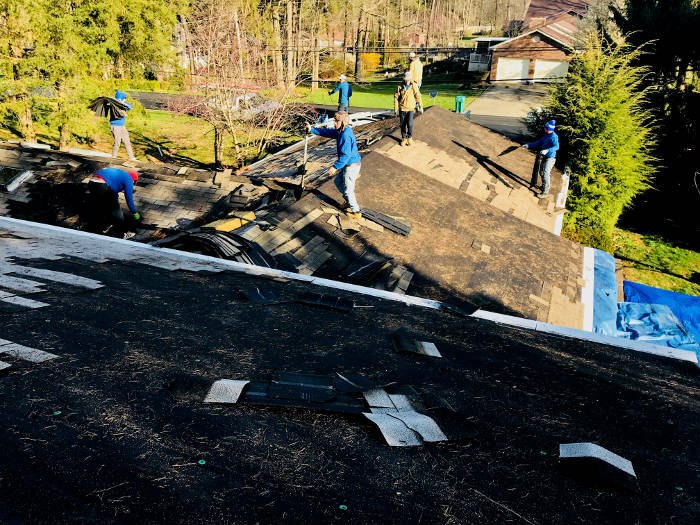 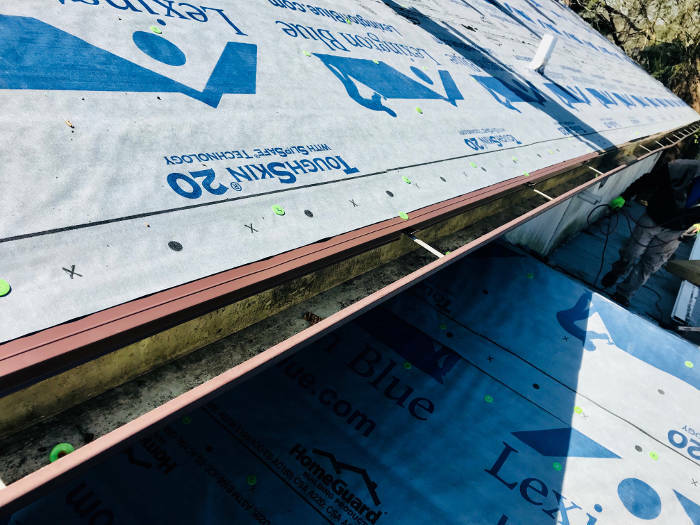 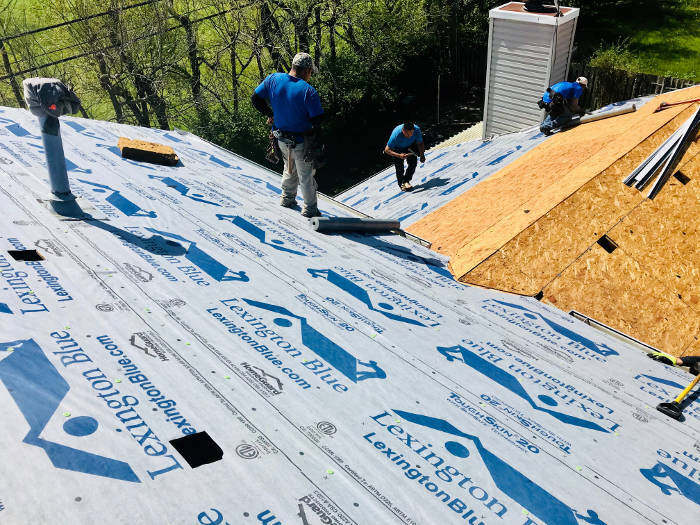 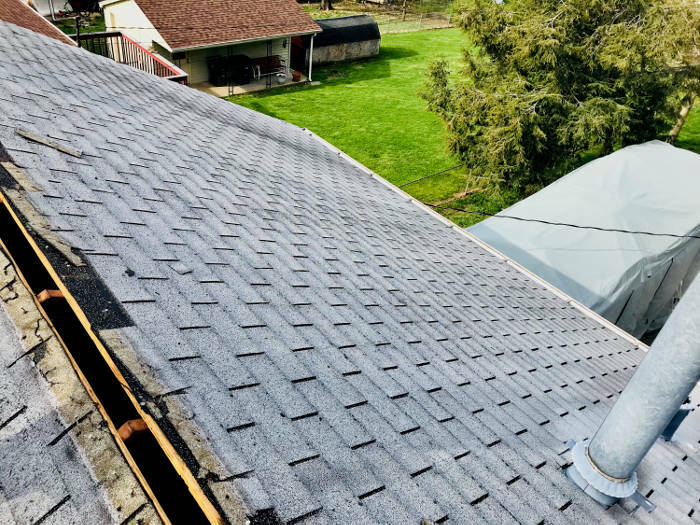 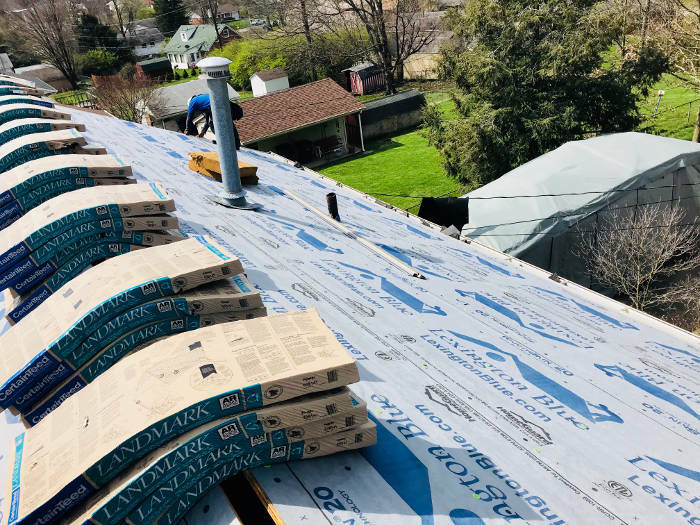 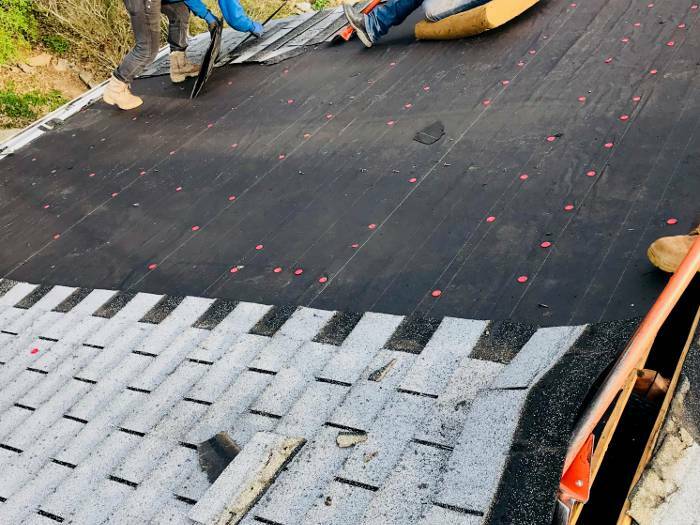 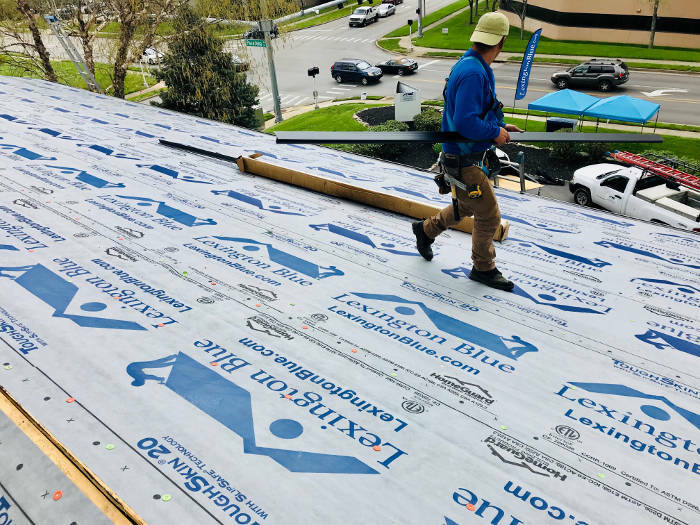 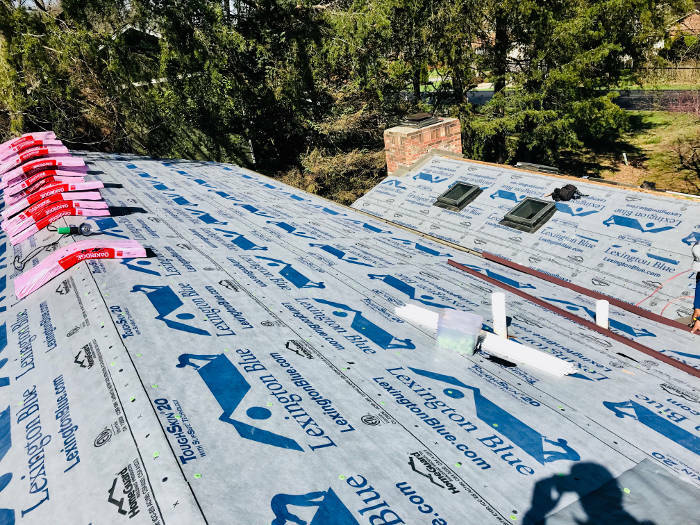 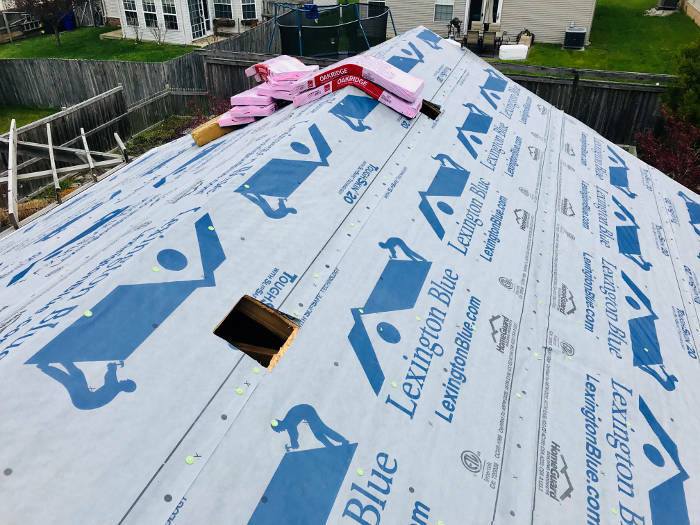 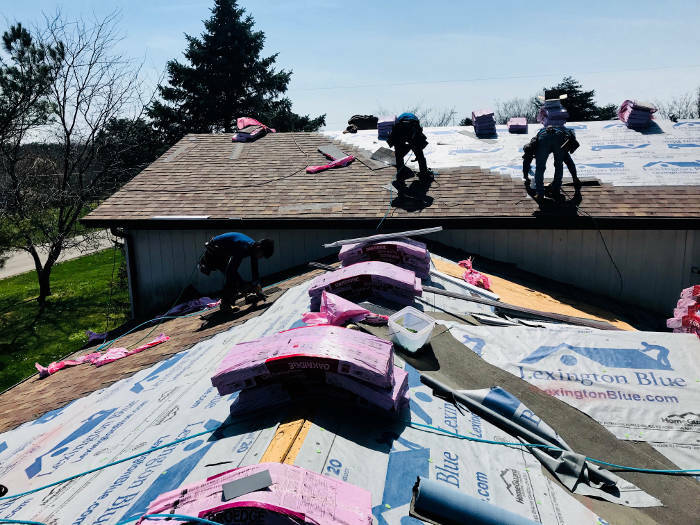 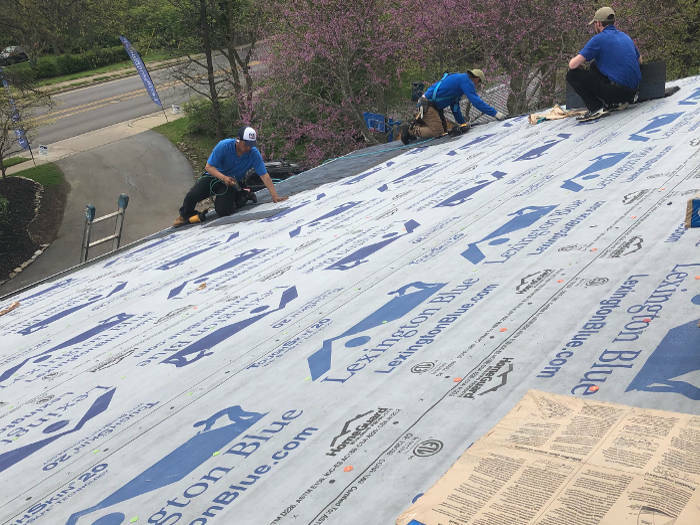 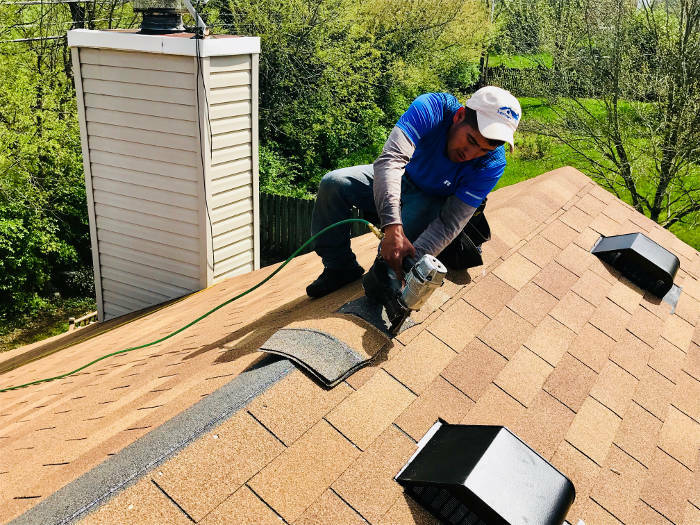 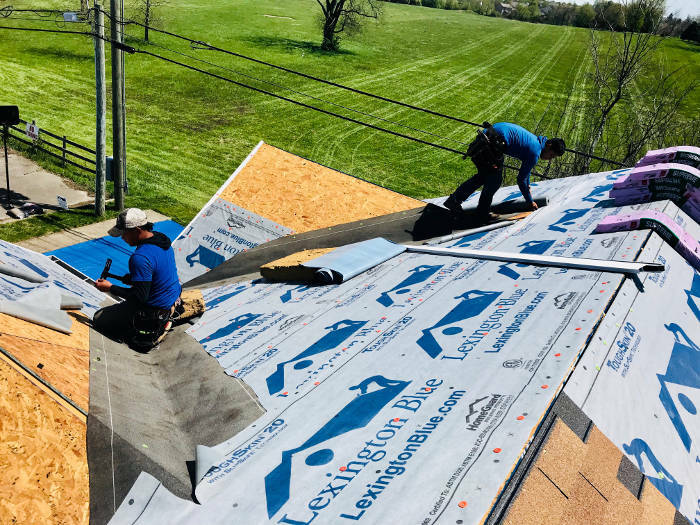 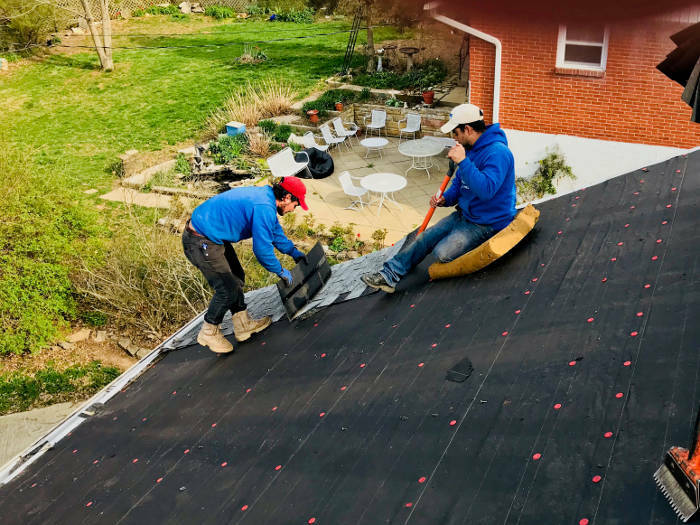 While we’ve performed tons of roofing projects since the first of the year, we wanted to share these to give you a closer look on how we perform each one with the same consistent approach. 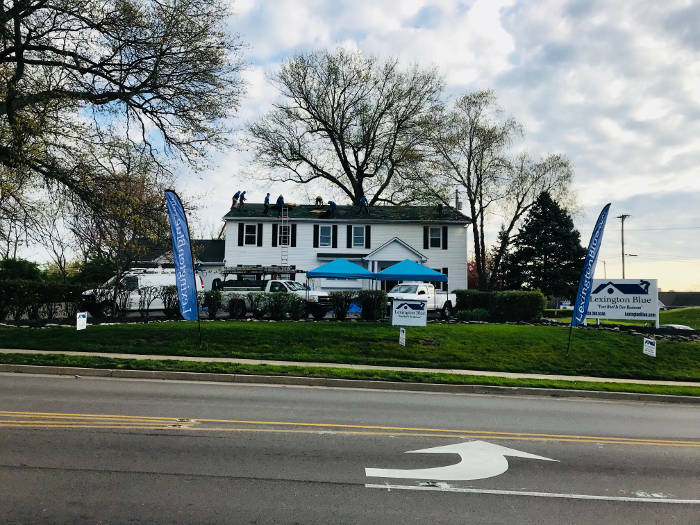 We even went as far as to include our own roofing project that we performed on our office. 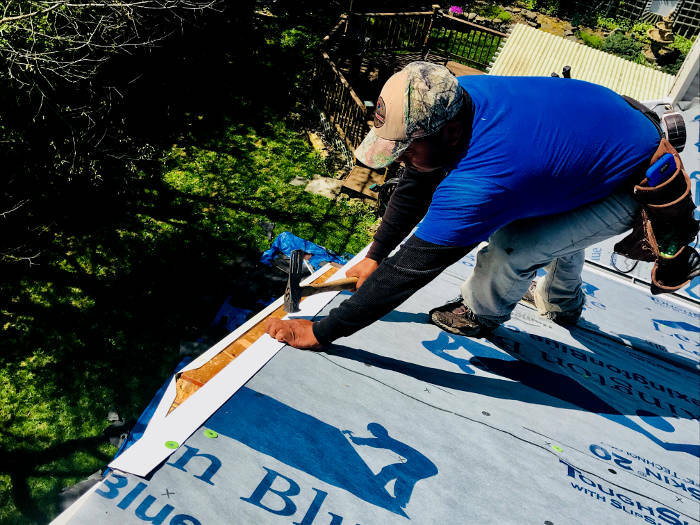 It’s our way to show you we place the same care and quality into your home or office as we do for our own property.